Today we have a fun tutorial in store for you on making crimped leaves. The tutorial and photos were prepared by Carol. Thank you, Carol, for sharing this fun tutorial with all of us! 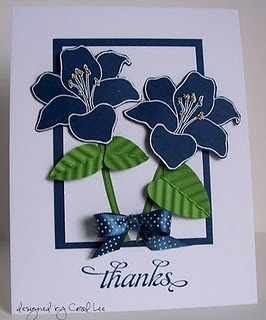 To see more of Carol's beautiful card creations, please visit her blog, Our Little Inspirations, and show her lots of appreciation for today's card and tutorial! I had someone ask how I make crimped leaves, so I made a little picture tutorial for you. 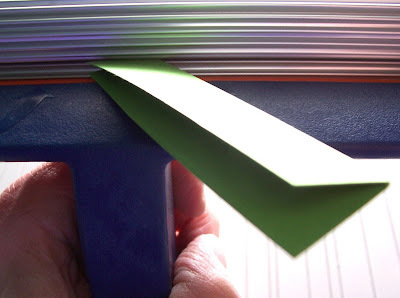 Start with a piece of cardstock and fold or score it lengthwise down the center. 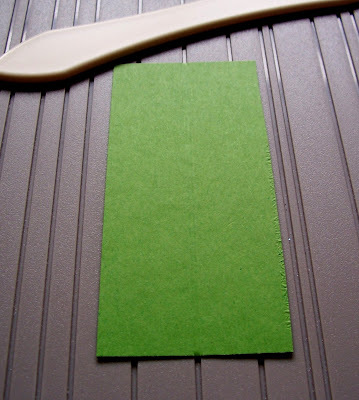 Fold it in half and run the folded corner through the paper crimper at a diagonal angle as shown. 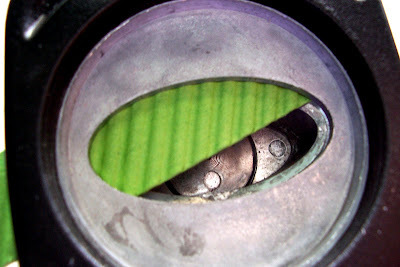 Slide the folded edge into your oval punch at an angle and punch. I use both the large and small oval punches for various sized leaves. 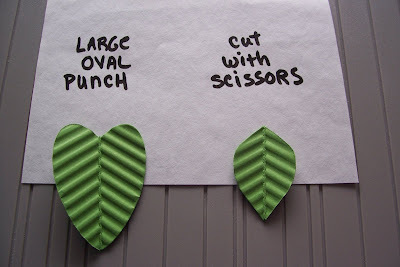 You can also cut the leaves out with scissors, just cutting a half-oval on the folded side. Here is a picture to show the difference between the punched and hand-cut leaves. Here is the final result. Beautiful card and gorgeous leaves, Carol! You can also make leaves from designer paper too, so let your creativity run wild and make some flowers and leaves! Enjoy! What a great idea. Thanks for the tutorial. What a clever way to use a paper-crimper! I LOVE THIS! OMG. Now I have a reason to buy another stampin toy. I have no crimper! What a great idea. Now how did you make the flower? It's beautiful. What a cool idea! I had to find my dusty crimper about a week ago, now I'm glad I remember where I put it! Great tutorial! I have talked myself out of the crimper over and over again but no more LOL! Love this idea. Now this is a tutorial I love and will actually use. I have a crimper that I've used on flowers but I love this way better! Thanks! Thanks so much. This is a super idea. GENIUS! This rocks my world! (It's the little things.) Thank you!!!!! Wow, these are gorgeous! Thank you so much. What a great idea! Thanks for sharing this technique.